As the worldwide box office potential of Tamil films goes, Rajinikanth’s outings always score big. After Rajinikanth, it is Tamil actor Vijay who often shows his command at the worldwide box office. While Ajith gives a tough competition to both Rajinikanth and Vijay in the core Tamil Nadu market, the Viswasam actor is yet to catch up with the other two outside the home ground. Besides the box office pull, an actor's star value is also determined by the demand for the satellite and digital rights of his films. 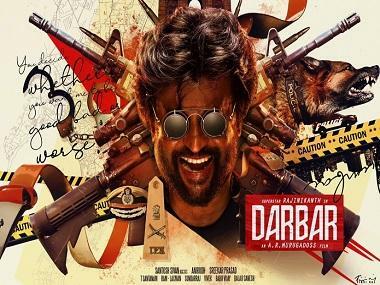 These days, Rajinikanth’s films are being procured by National TV channels like Star and Zee, including the digital streaming rights for all the three prominent languages — Hindi, Tamil, and Telugu. 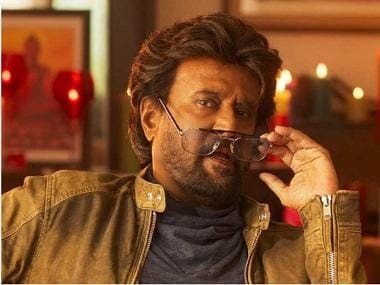 Zee bought the satellite rights of 2.0 for Rs 110 crore while Star group bought the satellite rights of Kaala for Rs 75 crore (Tamil, Telugu, and Hindi). The latest update is that Sun TV has bought the satellite rights (Tamil version) of actor Vijay’s upcoming film with Atlee for a massive Rs 28 crore. The digital rights of the film are valued at around Rs 22 crore. Altogether, the digital and satellite rights of the film fetched nearly Rs 50 crore. Trade sources say that the Hindi satellite and dubbing rights of Vijay’s previous hit Sarkar were sold for Rs 20 crore, so even if his upcoming film with director Atlee goes for a similar price, the producers would recover 60-70 percent of their investment. The point to be noted here is that Vijay’s films and many other young generation Tamil stars' films don’t get theatrical releases in Bollywood, but Hindi satellite channels snag their movies for a fancy price. As a major portion of the investment of Rajinikanth and Vijay’s films can be recovered through the amount brought in from the sale of the satellite and digital rights, producers are now waiting in a long queue to join hands with them. Vijay’s films always get a neat TRP (Target Rating Point) for TV channels. When Sarkar premiered on Sun TV, the film registered 16,906,000 impressions, the second highest for a Tamil film after Broadcast Audience Research Council (BARC) started monitoring the number of impressions. Touted to be a sports-based action entertainer, Vijay's upcoming film with Atlee will see him play a football coach. Vijay and Atlee have delivered two solid blockbusters in the past — Theri and Mersal which grossed more than Rs 150 crore and 250 crore at the box office respectively. Recently, the untitled film hit the headlines after Vikatan, a popular magazine revealed the basic storyline and some of the most important elements in the film. The film is said to be about how Vijay takes over his friend’s (Kathir) football team and makes them taste the victory in a popular tournament. Vijay will also apparently avenge the death of his friend later on in the movie. Nayanthara stars opposite Vijay in the film while Bollywood actor Jackie Shroff, Daniel Balaji, Vivek and Anandaraj play pivotal characters. Academy Award-winning music composer Rahman has taken charge of the music department of the film, touted to the costliest movie ever made in Vijay’s career. Produced by AGS Entertainment, the first look and title of the film are likely to be unveiled on the actor’s birthday (22 June). The makers have already announced that they are targeting a Diwali 2019 release, as Vijay's recent two blockbusters, Mersal and Sarkar, also released on the same festival. Though many directors have started narrating scripts to Vijay, the actor is yet to take the final call as his focus lies only on Atlee’s film. Sources say that Atlee is planning to wrap up the shoot of the film by July and spend three months' time on the post-production. While the core story of the film is based in North Chennai, Atlee is also planning to shoot a few scenes in foreign locales. Before commencing the regular shoot of the film, Atlee and the film’s cinematographer GK Vishnu visited Los Angeles as a part of their pre-production works.